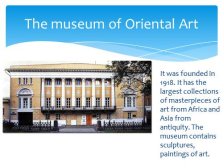 It was founded in 1872. It has 50 halls. 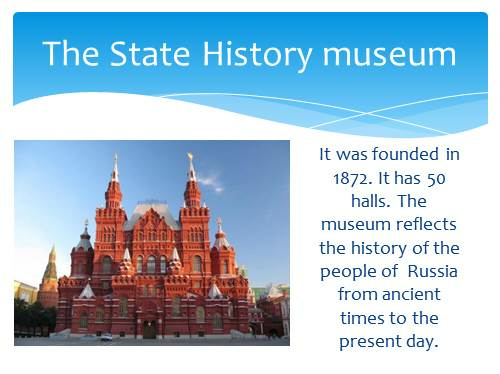 The museum reflects the history of the people of Russia from ancient times to the present day. 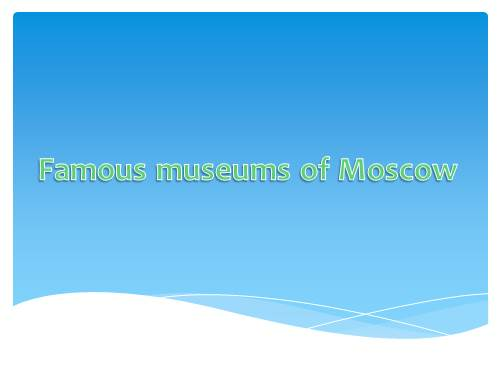 It was founded in 1918. 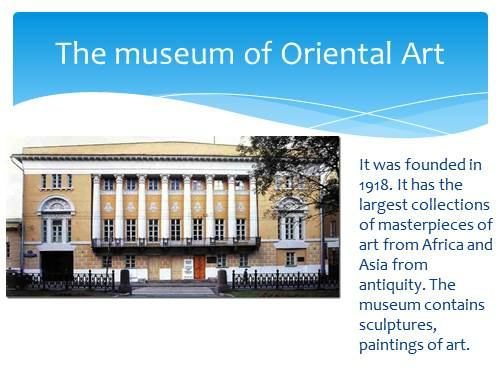 It has the largest collections of masterpieces of art from Africa and Asia from antiquity. 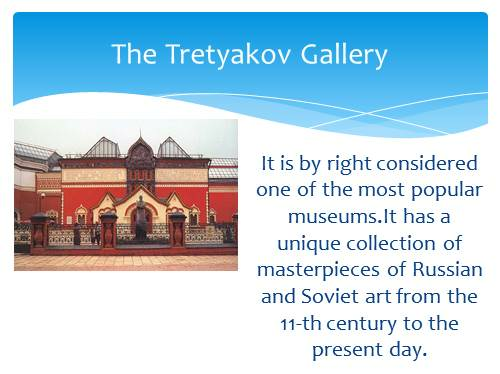 The museum contains sculptures, paintings of art. This museum is original in its composition and in its rich. 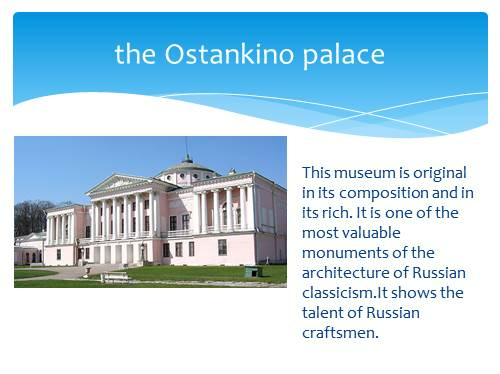 It is one of the most valuable monuments of the architecture of Russian classicism.It shows the talent of Russian craftsmen. It’s one of the most remarkable museums and is well-known all over the world. 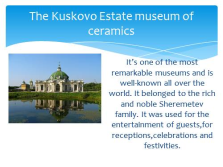 It belonged to the rich and noble Sheremetev family. 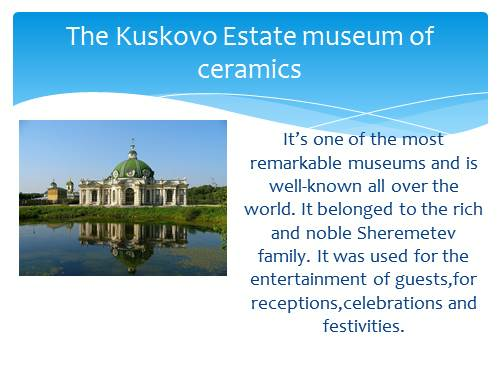 It was used for the entertainment of guests,for receptions,celebrations and festivities. 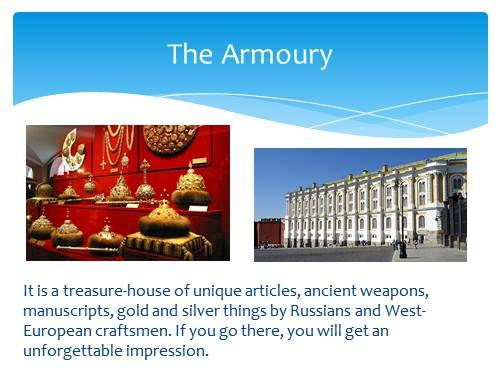 It is a treasure-house of unique articles, ancient weapons, manuscripts, gold and silver things by Russians and West-European craftsmen. 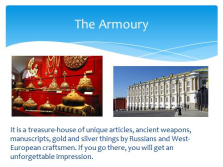 If you go there, you will get an unforgettable impression. 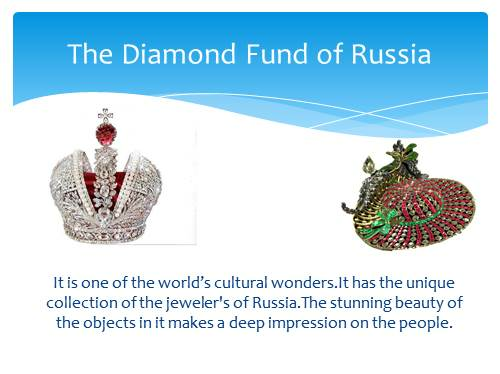 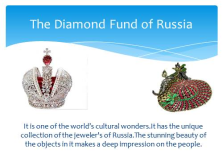 It is one of the world’s cultural wonders.It has the unique collection of the jeweler’s of Russia.The stunning beauty of the objects in it makes a deep impression on the people. 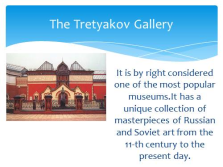 It is by right considered one of the most popular museums.It has a unique collection of masterpieces of Russian and Soviet art from the 11-th century to the present day.